Establishing, promoting, and communicating the highest standards of quality and integrity in the substance abuse testing and prevention industry through education, training, and the exchange of ideas. Register before our final brochure is published and save 10% off our regular rates. Click here for more details! SAPAA specializes in information and education! From the latest on certification exams, drug and alcohol testing, DOT developments, and legal and ethical issues, SAPAA has the information you need. SAPAA is a non-profit trade association whose members represent alcohol and drug testing service agents, including third-party administrators (TPAs), in-house administrators, medical review officers (MROs), DHHS Certified Laboratories, Substance Abuse Professionals (SAPs), manufacturers of testing devices, and collection sites/collectors. 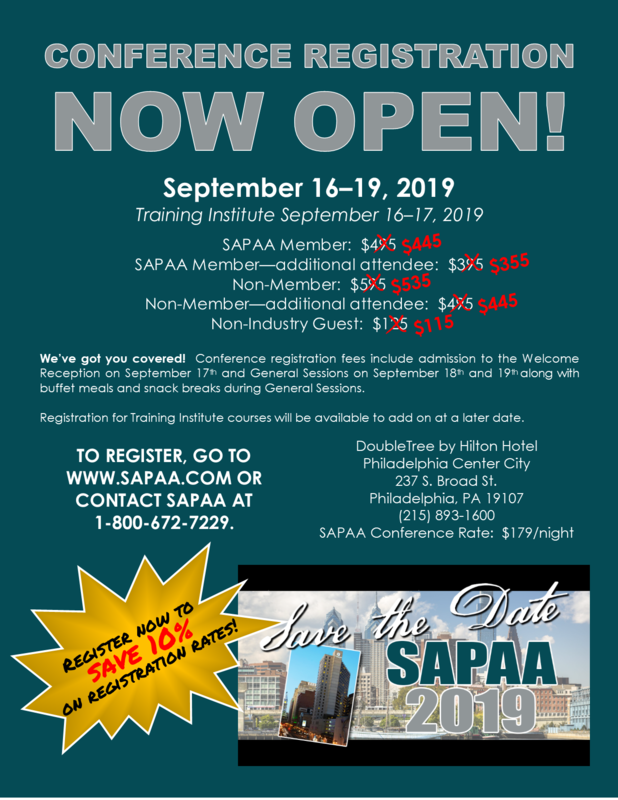 SAPAA is committed to providing members with up-to-date information concerning regulatory changes, state issues, industry trends, and member discounts on training courses and conferences. Many thanks to those that attended our 2018 Annual Conference! If you have any questions, please contact the SAPAA office at 1-800-672-7229 or info@sapaa.com.